A good bath is one that can help you unwind from a long stressful day. It can rejuvenate your inner self so you can start fresh and new. I know for me I like to soak in the tub when I've had a busy day where I'm on my feet a lot. It helps not only my feet feel better, but it relaxes my entire body. Adding in Epsom Salt is really an added bonus that makes for the ultimate bathing experience. It soothes muscle pain, cleanses pores and detoxifies the skin all at once. If you've never tried it before and you suffer from sore muscles or tired feet after a long day I highly recommend you check it out. Just add two cups to your hot bath and then soak and enjoy! Epsom Salt is a pure mineral compound (magnesium sulfate) in crystal form. There are several different grades of Epsom salt, produced to purity standards according to the purpose for which it is intended. San Francisco Salt Company – San Francisco Salt Company chooses only the best premium quality salts from around the world for their array of bath, spa, and shower salts and selection of gourmet food salts. 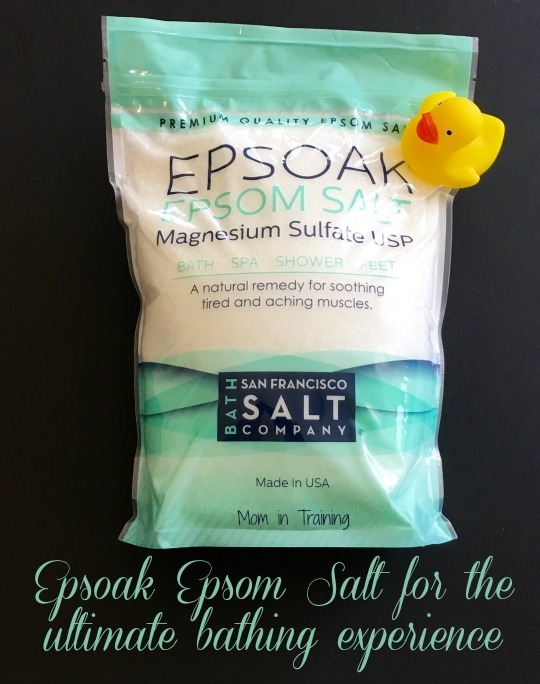 One of its flagship products is Epsoak® Epsom Salts, proven to soothe muscle pain, provide Magnesium, cleanse pores, and detoxify the skin. Culinary salts range from French Grey Salt and Pure Sea Salt to Sherpa Pink® Himalayan Salt. I have heard of people using Epsom Salt but I have never used it. It sounds like a great bath experience, I will have to try it. I don't take baths often but when I do, it's so I can add epsom salt. Wow, that sounded like a commercial, eh? I've heard really good things about this company.